Video Game Console Emulator in our case 【•】 Pokemon Emulator is a program that permits another modern console, an Android phone or a computer to emulate that is to play classic video games originally made for Gameboy, Nintendo DS, 3DS, N64 or another Nintendo console. When we speak of emulators, these are usually used to play older video games on modern video game consoles or Windows & Mac personal computers. For a Pokemon Emulator, it is especially important that it correctly supports the RTC - Real Time Clock function needed for time-based events in Pokemon games. Otherwise, you will not be able to catch nocturnal Pokemon that come out only at night. And it is imperative that Link cable emulation function for trading in Cable Club works as it is no fun playing alone. As a result, the best Gameboy emulator may not be the best for playing Pokemon games as it may lack features needed for these specific titles. Here at PokemonEmulator.com, we do the continuous testing of all the latest versions of software to help you find the most compatible way of playing your favorite games! The latest progress in making an emulator for the Pokemon Y 3DS and Pokemon X 3DS Exclusive games. (Nintendo 3DS Emulator) Hint: the cartridge hardware can be emulated, DS mode has had emulators for a lomg time already, and now there is a working emulator capable of running 3DS games on PC with sound and at playable framerates. Diamond, Pearl, Pokémon Ranger: and Pokémon Platinum. In Japan DS Pocket Monster fans also got HeartGold and SoulSilver that are enhanced remakes of GameBoy Silver and Gold games. Best to play these games on PC with No$GBA. A Video Game Console Emulator is typically divided into modules corresponding roughly to the emulated subsystem of a computer. The following modules are the usual composition of an emulator: a memory subsystem module, a CPU emulator or CPU simulator, and various I/O device emulators. Several video game console emulators have already been created and released for free such as VBA for the Gameboy Advance Pokemon games, Gens for the SEGA Genesis, and ePSXe for the Sony Playstation Pokemon titles. Each Video Game Console Emulator has created a massive craze in every gamer’s heart. With the release and development of a Video Game Console Emulator, kids, young teenagers, and even the adults are no wonder hooked with the gaming industry. Who would not be, anyway? If gaming is leisure, and pleasure conjoined into one, then playing video games is definitely fun for everyone. VBA Link GBA emulator with multiplayer linking support for trading Pokemons from one rom to another. Pokemon 3DS while you can play Black and White on N3DS the first real 3DS only Poke game is Pokemon Rumble Blast. Nintendo 3DS Emulator will emulate the DS Mode on the 3D console, so no camera or SD card support. I love this game! The developer did a good job with their first ever Pokemon sequel. Even if other people might say that we’re only wasting our money, it’s still worth the pleasure of finishing this game. You might have to pay $40 usd for it but you will also get 200 hours of gameplay from it. Read full Pokemon Black Version 2 Emulator review. It still has the same great graphics and a super improved storyline. Don’t be surprised if the storyline starts off differently compared to the first version’s plot. There are also new additions to this version, such as The PokeStar Studios and the DNA Splicers. If you want to combine Kyurem with Reshiram or Zekrom for a Black or White Kyurem, use the DNA Splicers. In my case, I created a White Kyurem, which helped me win my fights. While DS/3DS compatible games like Poke Black & White can be emulated using DS emulators at this time there are no emulators for pure 3DS games so NO Pokemon X emulation on PC. Numerous fake emu sites offer 3DSemu for cash or for filing out surveys, but so far they all are scams made for profit. And yes - that Youtube video you saw was doctored to look real. Pokemon X Review - Despite the innovations and evolutions, in its core Pokemon X still plays like one of the usual Pokemon games. For sure you can spend more time petting your Pikachu and you can get to choose from a bigger variety of starters, but Pokemon X still lands in the same comfort zone Pokemon followers have found themselves in for years and for a total of 6 generations and that is not a bad thing! Developers, I must say, somehow did a great task of cleaning up certain aging mechanics and creating a visually stimulating Pokemon world any Pokemon fan would be crazy not to explore! Pokemon Y Emulator for PC? Pokemon games that were made to work on 3DS can now be emulated on a Windows PC, Mac OS X, iOS devices or Android phones and tablets. Before this - the only way to play X&Y for free is using "hardware emulation" - that is copying game to one of the microSD flash card adapters and playing it on Nintendo 3DS ... so you still need the handheld. Best PoKeMoN Emulator for PC • Windows 10 and macOS are evolving and soon you will be able to play the games at full speed with sound and with all the features including linking and trading. Pokemon Y can be considered a great additions to the franchise and is perfect for all Pokemon gamers – both the enthusiasts who turned their backs on the series and the fanatics who have been supporting the games all these years. Since generation 6 is considered a mega evolution of its own, Y is highly recommended for anyone who is a fan or even just a 3DS owner who is thinking of completing their game collections. With these SD card adapters anyone can play MP3s, Video, GameBoy, GBC, NES SNES, GBA games and all Nintendo DS Pokemon games from a single cartridge. Free shipping to USA, UK, Europe and Canada and always low prices for DSi and N3DS. SuperCard DSTWO 3DS - SDHC Adapters for DSi, AceKard 2i micro SDHC cartridge for DSi GOLD, GBA flash. You can get Super Nintendo games for DS/3DS Flash Cards and Emulators at The Old Computer SNES ROMs downloads section. With more than 20 core titles, many of which have slight variations as well as dozens of side stories (about 30 as of last count), the Pokemon world is a huge one. Newcomers into it will likely be overwhelmed by the things that must be understood. In the following sections, I shall rank the series so that you can catch all of the best, whether you’re a newbie or a veteran seeking to restart your Pokemon League game. I must first emphasize that this isn’t Kotaku’s picks - instead, I made this list on my own. I must also say that this list doesn’t mean that one game in the series is superior in comparison with the rest. I must also say that I would give every game a gold star if that’s possible but it isn’t based on my personal experience of playing all of the games – and I mean I played all of the games in the market now. I will only be discussing the Pokemon games core series, which span the Red and Blue games to the Black 2 and White 2 games. I have also decided to skip the apparently countless spin-offs and side stories in the current Pokemon Universe. I wanted to save on the time, energy and effort as well as the arguments and headaches that come with discussing the nitty-gritty details, too. I also want to emphasize that this isn’t a definitive list. I am actually encouraging you, our dear readers, to provide inputs and feedbacks about your own Pokemon franchise rankings. You may even be able to change my mind about these rankings so place your comments after reading the article. Video Game Emulator together with a patch can also translate Pokemon games into other languages, modify existing games, and help in developing homebrew demos and fresh games for older systems. It maintains the original appearance of Pokemon games, touch and feel of the original because that is similarly significant as the digital data inside. Over time, it proves to be more cost-efficient solution to users - emulators are free. Who says that the original can easily be eclipsed by the succeeding generations? With the Pokemon Generation I games, which created the international phenomenon we know today, they are as challenging as ever. For example, you will still find that catching the 151 original Pokemon still has its challenges despite the absence of running and the presence of dual types. You will still find deep satisfaction in starting in Pallet Town, defeating Team Rocket, and beating Gary or Blue, not to mention the satisfaction that comes from the knowledge that Generation I and Generation II are virtually connected. The hard part: Where will you find either a Gameboy or a Gameboy Advance that can be used to play these Pokemon games? Keep in mind that Red/Green were redeveloped for Generation III. Of all the games, Yellow was the most popular game experience for children in the post-90s times, especially for those whose childhood years were marked by avid watching of the popular Pokemon cartoon. It was also memorable because of its deliberately close resemblance to the Pokemon television series, thanks to the Team Rocket addition, as well as Pikachu’s attitude of following Red around and for its Pika Pika sounds; Pokemon characters usually just made garbled noises. It also had a great mini-game with a surfing Pikachu. Of course, Pokemon’s first generation was special! But Pokemon started opening up to new possibilities in Generation II for several reasons. Dual types were formally introduced – for example, Charizard can fly now although I already knew it in Yellow but not in Green, Red and Blue – while the introduction of the day-and-night cycle allowed for new ways in playing. The time of the day or night now mattered since certain Pokemon characters can only be caught at specific times, which made the gameplay interesting yet frustrating, too. Generation II also expanded on the previous Friendship/Happiness system, in addition to the day and week cycles, which was introduced during the Yellow stage. The result: Pokemon grew through their apparent devotion and dedication to their trainers. Aside from these new elements, the second generation Pokemon also had the longest main game section, thanks to the original Gyms addition. Notable developments were also made, such as bringing back Brock, giving Red a Pikachu, and allowing players to fight Red, which were such an explosive concept here the fans where concerned. Add in the cellphone system allowing trainers to engage in battle again, which resulted in more replay value, and Pokemon II took off. I believe, too, that 251 Pokemon had the right amount going for it! Of all the Generation 2 games, Pokemon Crystal was arguably the best game, thanks to the fact that it was a Gold and Silver extension. Crystal also had more replay value because of the addition of the choice of gender for its main character, the battle tower, and the Suicune central storyline – indeed, the already packed installment became better! If you were unsuccessful in finding a Gameboy on which to play Generation II, you needn’t worry. This is because the game designers remade the Gold and Silver games into SoulSilver and HeartGold in Generation IV. Generation III could have been ranked higher on this list, especially with the addition of better contests including double battles, better animation, and better movement (e.g., running). But with the new focus on the value systems in IV and EV, the games became too serious in my opinion, thus, their drop to number three. While I can also understand the appeal of the Pokemon contests, these weren’t right up my alley. There was also the weaker designs of Pokemon in Generation III, which I consider among the biggest issues. For example, Blaziken, Torchic, and Feebas were just too weak in comparison with the originals while many design choices, such as the removal of the time cycle with more focus on the weather element, were just too odd for my taste. While there aren’t any Generation III breakout titles, Emerald stood out in my opinion. Perhaps this isn’t surprising as Emerald is a Ruby and Sapphire extension, as is the case for Yellow, Platinum, and Crystal. Generation IV has many things going for it, such as the fact that these were the first fully-3D Pokemon games and the first games wherein Pokemon characters can be battled and exchanged online. But why then doesn’t it rank higher in this list despite its remakes of Gold and Silver? This is because, at its heart, both SoulSilver and HeartGold are remakes, even when Typhlosion can follow me all over town. Generation IV is widely considered as a technological milestone in the Pokemon universe despite these debatable developments. Plus, it made Pokemon look better as well as paved the way for the upcoming X and Y newer animations. But as a standalone game, I must say that it’s not a major leap from Generation II and Generation III. You can’t go wrong with either SoulSilver or HeartGold. Your game experiences will likely be better in comparison with Generation IV’s three main games, thanks to the extra gym battles and the feelings of nostalgia. The Generation V games were considered as direct sequels to the Pokemon game, a first for the series. But it wasn’t much a forward development since it only increased the number of Pokemon characters, which was already relatively large then. In fact, there are now 649 Pokemon excluding those seen in X and Y so far. Generation V has its good point, too, particularly that the Technical Machines (TM) were designed with highly similar qualities as the HMs – both now have infinite uses. But even its addition was a double-edge sword in that the game became easier to play and, in the process, less challenging. Even until now, I have yet to decide whether a flamethrower as a TM is a good thing or not. In Generation V, my favorites were Black 2 and White 2 for several reasons. Their storylines were more player-friendly (i.e., accessible), especially when White and Black were already part of your game repertoire. Despite such similarities, nonetheless, these were individual titles able to hold their own ground. The Black Tree and White Tree Hollow addition also provides several extra hours of battle times as well as added a plot extension. The games were also engaging, challenging in a way, and fun to play. But at day’s end, Pokemon fatigue becomes evident, no thanks to the fact that the Generation V characters were just too many to trade, catch and battle with. Working on a specialized section for Android phones and tablets. 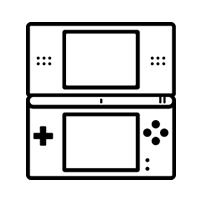 DS is especially suited for emulation on a device with a built in touchscreen and always on internet -- there are already some great apps that you could download and use to play your favorite console games and more are being developed. Best PoKeMoN Emulator for PC • Windows Android iOS and macOS. Download & Play 3DS DS & GameBoy© Pokemon games with online emulator. Link & Trade X Y Black Sapphire Ruby Red Blue Gold Yellow.